The Charity executive, from Hall Green, passed away on Good Friday. Many have paid homage to the founder of charity, Jannat ul Firdous, after she lost her rigorous battle with cancer during the Easter weekend. Thousands of mourners flocked to the humanitarian‘s funeral, held at Birmingham Central Mosque, the day after her passing. Trustee Shamsa Miran-Bux said: “I’m heartbroken and devastated that we have lost Shamim. “She was an angel who did so much. “She threw herself into helping children and today we have seven schools in Pakistan as well as colleges and two orphanages. “Shamim would be there on the ground doing everything, and the schools are now running by themselves. “If there was a problem in other countries, such as Syria, she would be there for any disaster and especially to help the children. 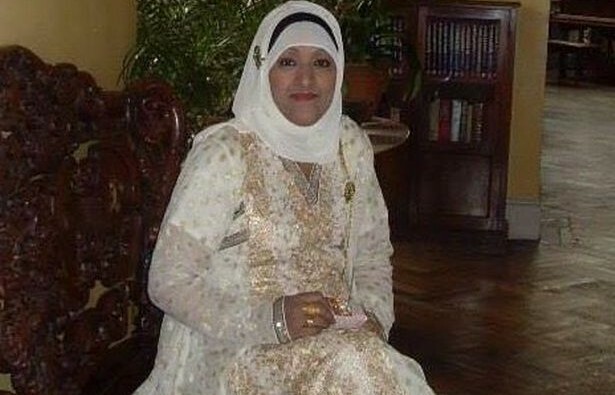 Hundreds took to social media to express their condolences and share their most recent memories of Mrs Mahmood. The married mother-of-three began by helping two orphans in Pakistan’s capital city of Lahore before going on to support thousands of women and children across the region. After a major earthquake struck northern Pakistan in October 2005, Mrs Mahmood immediately volunteered to be amongst those providing shelter and other essential provisions to the villages affected. Mrs Mahmood began her charity work 12 years ago, citing the death of her mother as helping her to focus on the important things in life. She had written: “The establishment of Jannat ul Firdous resulted in my realizing my true purpose on Earth. “My actions have provided me the opportunity to channel my energy by providing support to the most vulnerable and neglected children in Pakistan. Mrs Mahmood launched her charity with funds raised by selling land she owned after witnessing atrocious living conditions in her birthplace of Lahore. Based in Hall Green in Birmingham, the charity vows to continue the work started by Mrs Mahmood by supporting young girls who need help with their marriages, providing water pumps for remote areas and setting up learning centres. In the weeks before her passing, she found time to organise a fundraising dinner in Small Heath, unveiling a pump in a village that was in desperate of clean water. The charity founder also found time to give food to the homeless and needy in Birmingham city centre. She recently made an appearance on television as part of the ‘Extremely British Muslims’ series on channel 4, in hopes of finding the right woman for her son. Mrs Mahmood leaves husband Daud as well as two sons and a daughter and five grandchildren. On her Facebook page she described herself simply as a mother and grandmother who loved to help others.